Stephanie Lim: DEFINE at Zebra Square. So I spent my weeknight some few weeks back at the Define party held at Zebra Square, I must say it was like a mini white party. With the party goers all dressed in white, interiors white, just basically everything white. When I got there Bass Agents was already playing. Definitely got into the party mood right away ; the girls and I was immediately on a drinking spree as we were late and every one was pretty hyped haha. There was a pretty good line-up of entertainment that night. With international acts like Tara McDonald who has collaborated with the likes of David Guetta and Deadmau5. 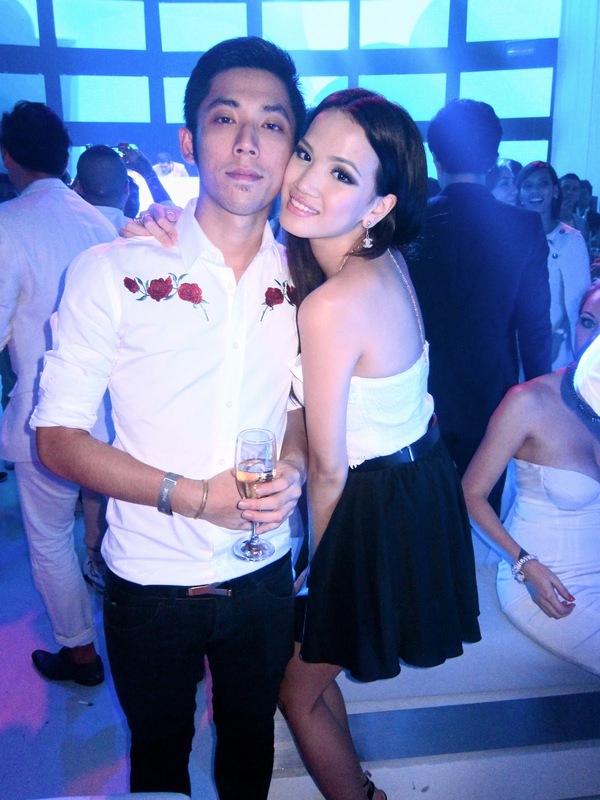 DJ Emily Scott, FHM's Top 100 Hottest ladies in the world looking absolutely stunning in that white Versace dress, and the boo decked out in Jack London apparels haha. Kent, Manda, myself and Howie. Had a pretty good time for a weekday. Luckily I decided to attend last minute! Ooh I love Jack London's stuff though I can never see the bf wearing it lol. Hahhaha why not? Their fit is perfect!